Set in a tranquil area and surrounded by nature, Apartamentos La Luna is lcoated in Icod de los Vinos. Featuring plenty of natural light, the apartment has a living area with a sofa, a dining table and a TV. The kitchen is equipped with a microwave, kitchenware and a toaster. There is a sofa bed, and a twin bedroom. The bathroom comes with a shower and a hairdryer. Activities in the surrounding area include fishing, hiking and diving. The property offers free parking. Tenerife South Airport is located 70 km from the property. Located in Icod de los Vinos in Tenerife, Apartamentos Islas Canarias offers apartments with sea, mountains or garden views. Apartments feature a living room with a flat-screen TV, and a kitchen equipped with a microwave, fridge, and kitchenware. Some apartments have a spa bath, and a furnished terrace ideal for al fresco dining. Apartamentos Islas Canarias are 10 minutes’ drive from Ensanada de Moni Beach, and you can drive to El Teide National Park in 1 hour. 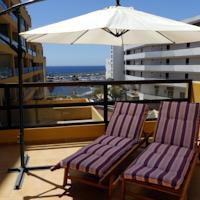 Please note that this property offers apartments in different locations around Tenerife. Check-in takes place directly at your apartment. Please see the individual apartment descriptions for the address and more details. Apartamentos Monasterio de San Antonio are set in a 200-year-old former monastery building, with a typical interior courtyard. Each Monasterio de San Antonio Apartment has digital satellite or local TV. The kitchen area includes a toaster, hob and fridge. Wired internet access is available for a small extra fee. 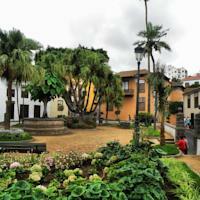 The apartments are set in Tenerife’s Icod de los Vinos, a short walk from the famous Dragon Tree. This tree is believed to be 1000 years old. There is a tour desk available for more local information. Playa San Marcos Beach is less than 3 km away and has several bars and restaurants. Free private parking is available on site. 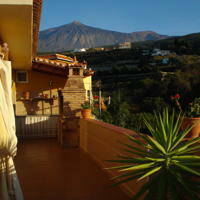 Featuring free Wi-Fi and a charming garden, Apartamentos Icod Village are located in Icod de los Vinos in Tenerife. These apartments offer 1 or 2 bedrooms and a private bathroom with bath or shower. There is a kitchen including an oven, hob and coffee machine, and the living-dining area has a sofa bed, TV and a small table. Shops and restaurants are located within 10 minutes’ walk of the property. A 24-hour front desk is available. The surroundings present excellent opportunities for hiking and visiting beaches with black volcanic sand. 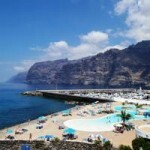 Tenerife North Airport is a 40-minute drive away from Apartamentos Icod Village. Icod de los Vinos is a municipality in the province of Santa Cruz de Tenerife on the island of Tenerife, in the Canary Islands (Spain), located in the northwest part of the island. Inhabitants of Icod are known in Spanish as “icodenses”. Icod has an area of 95.90 km², is situated at an altitude of 235 metres above sea level, and has a population of 23,092 as of 2013. Icod de los Vinos is located on a continuous smooth slope that stretches from the extensive forests of Canary Island Pine down to the sea, and has almost 10 km of shoreline. 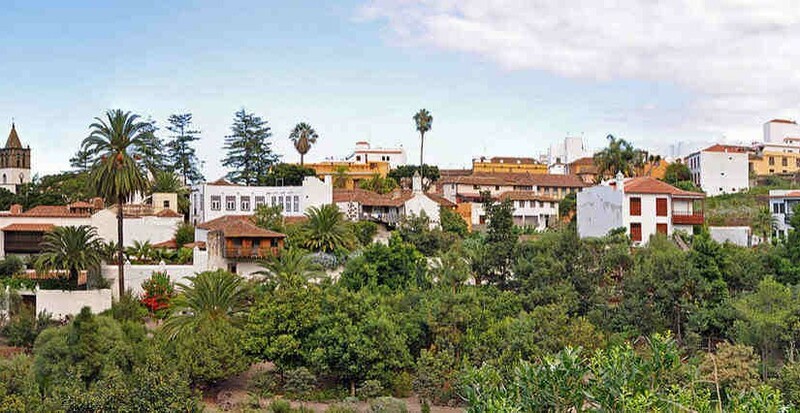 The city is surrounded by fertile valley, and its streets and corners offer views of the volcanic mountain Teide, as well as dense pine forests which descend from its summit to Icod’s higher-altitude districts. 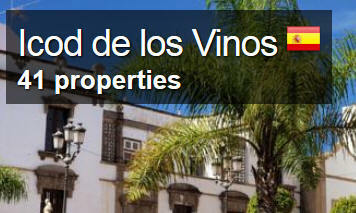 Icod de los Vinos is located about 47 km west of the capital, Santa Cruz de Tenerife.